This book is a memoir of that intern year. As far as clinical skills are concerned, it sounds as though the learning curve was fairly steep. Klabbers describes the patients and families who crossed his path, the lessons, the mistakes, as well as learning the value of just listening or just being there for someone. As his experience grows, he is able to see that he is making a difference. 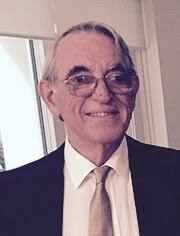 What makes his achievements in the realm of pastoral care something special is that he himself is an atheist. I have always thought of ‘spirituality’ as encompassing both the religious and the secular, but Klabbers has a problem with that and doesn’t use the term. However, what he demonstrates is that a pastoral care worker, even one who is an atheist, should be able to work with and help anyone, regardless of their faith or lack of faith. I enjoyed reading his clinical stories, together with his interpretation of what they meant, both to him and for the patients. If you work in palliative care, I think you will enjoy reading this and there is plenty about which to reflect and think. Most importantly, it underlines the secular component of spirituality and pastoral care. 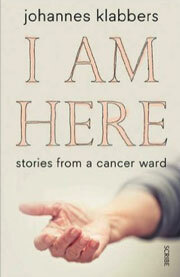 This book is about terminally ill patients’ wishes that do not just cover the circumstances of their death, but include the wish for death to come. There is an emphasis towards the psychosocial and ethical aspects of care. 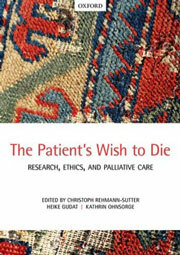 The first part of the book explores the state of empirical psychosocial research on wishes to die. Included here is the 2004 paper by Nessa Coyle and Lois Sculco on expressed desire for hastened death; a new afterword by Nessa Coyle provides interesting insight into the changes that have occurred (and are continuing) in palliative care practice over the last ten years. The second part provides four different perspectives on the ethics of practically responding to wishes to die. In the third section, practical issues are discussed as they are encountered in palliative care for patients at the end of life who express wishes to die. If you want to know more about the genesis of wishes to die, and some guidance as to how we might best deal with them, both as individual healthcare practitioners and as a society, then you will find this book of interest.